Visiting this building would have been even more terrifying if we had known it had no sprinkler system. 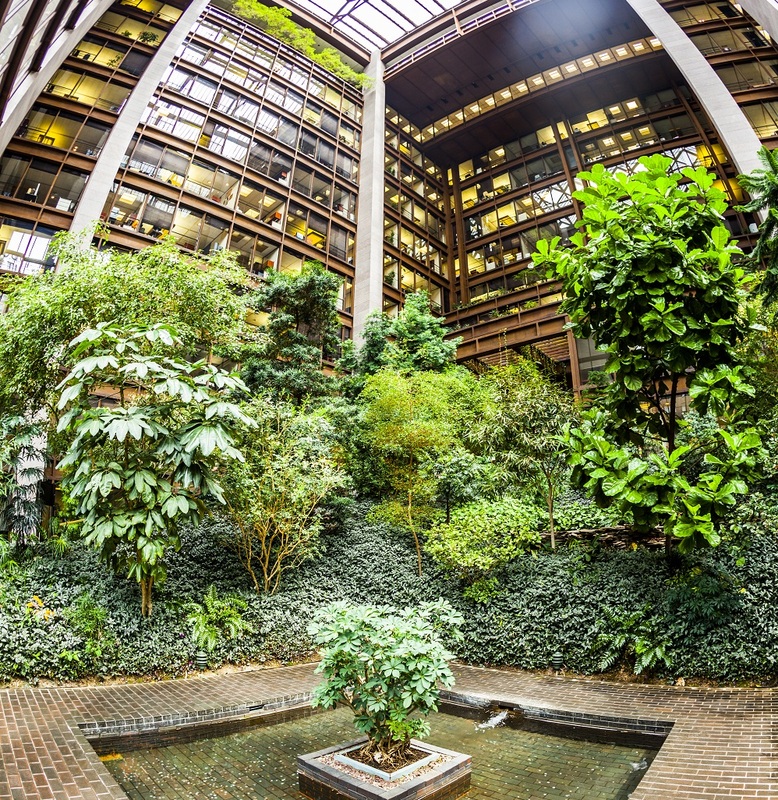 One of the building’s most notable features is the strange 174-foot-high atrium with its jungle paths under 12 looming stories of internal windows, but even that has no smoke-exhaust system. The building does not meet code and city officials have given the Ford Foundation until 2019 to make that right. But the building is quite clearly an architectural treasure even down to the modernist furniture created by Warren Platner and Charles and Ray Eames to match the ambiance. In fact, both its exterior and the atrium are historic landmarks.